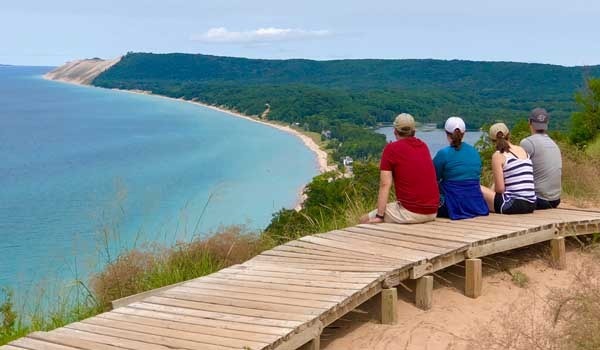 Off to Leelanau county to spend a day in the outdoors where you will hike up Empire Bluffs for the million dollar view of Sleeping Bear Dunes and Lake Michigan. 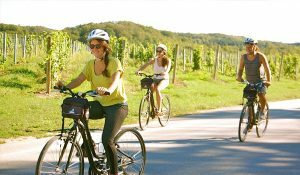 Afterwards we will head over to Glenn Arbor where you’ll hop on a bike and ride the very famous, picturesque Leelanau Trail…a ride that will give you the feeling of what it’s like to be in Gods country! After your bike tour, you will hop into a kayak and head down the Crystal River where you will be amazed by its clear water and sandy bottom. 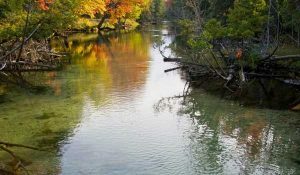 Throughout your 2-3 hour trip, you’ll have a chance to see Northern Michigan’s true residents: White Tail Deer, Blue Heron, Bald Eagles, otters, turtles, frogs and endless amounts of fish. And remember, your trip is not complete until you take part in everyone’s favorite river memory…Shooting the Tube! This is a turnkey full day getaway with transportation, bike rental, kayak rental, lunch and Bay Life Getaways swag all included in your adventure. Sit back, relax and enjoy a relaxing day of fun, sun, sand and adventure.